In addition, Microsoft also announced its VOIP service provider – Skype will be offer completely free in and out calls to landline and mobile users in Nepal. By offering free calls through Skype, it will provide alternative communication option to connect with friends and family during the current crisis situation in Nepal. It is also part of an initiative by Microsoft to donate $1 million in cash, technology, and services to assist in the rescue and recovery efforts in Nepal. Google discounted Google Voice rates from 1 cent per minute instead of its normal 19 cents per minute for all calls placed to Nepal. AT&T is offering free texts and international long distance calls from the US, Puerto Rico, and the US Virgin Islands to Nepal from April 25th through May 16th. Microsoft’s Skype offer free calls to landlines and mobile phones in and out of Nepal. No Skype credit is required to make these calls. 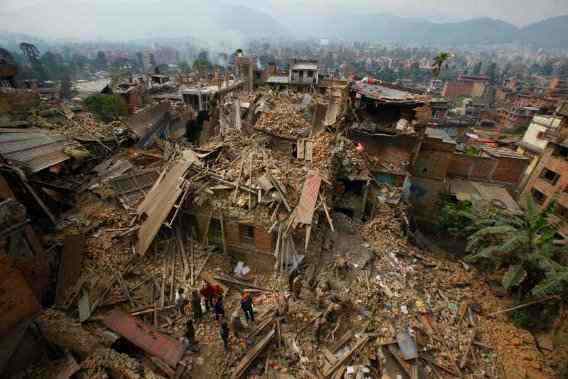 Sprint is waiving all fees for calls and texts to Nepal from April 25th through May 16th. T-Mobile US is waiving and crediting fees for all calls and texts to and from Nepal from April 25th through May 16th. All calls placed by Time Warner Cable Home Phone and Business Services customers to landline and mobile numbers in Nepal will be free through May 25th. Time Warner Cable also offering free calls to China and India. Verizon iswaiving charges for long distance calls and texts from the US to Nepalese numbers from April 25th through May 31st. With the latest technology and social media, friends or family can quickly access to information after disasters.